A group of three Walkers forced the five of them to slow down just outside of the door to the library, which hopefully held Haeds’ arsenal. Sheriff Dells was still rushing up to aid Becca whose aggressive behavior had lead her to being their point. The first one charging Becca was rewarded with a baseball bat to the teeth. She yelled as they bounced off the dirty tiles likes a handful of jagged snow. The second moved in at her back, but Dells was there and nearly took off its head with a swing of his bat. Emily took out the third with one of her few remaining bullets. Becca’s mad dash continued and she flung open the library door and rushed in without any hesitation.Devoncould just hear her shout, “It’s this way,” over the sea of moaning throats closing in on him. 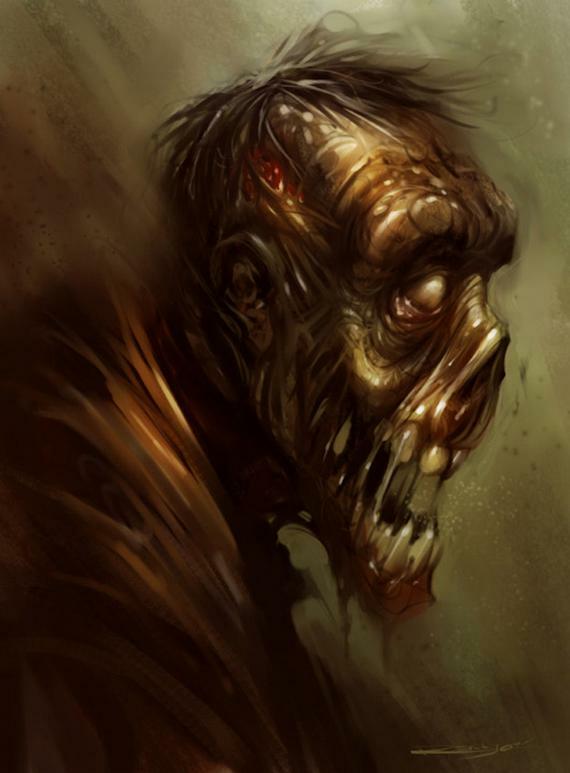 He felt icy hands grabbing into his shoulder and the rank breath of death in his nostrils a moment before theWalker’s head exploded and splashed his face with rotten gore. Check out how Devon’s Apocalypse Begun Here!